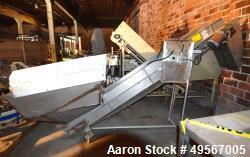 Used-18" X 9’ Smalley Stainless Vibrating Conveyor. 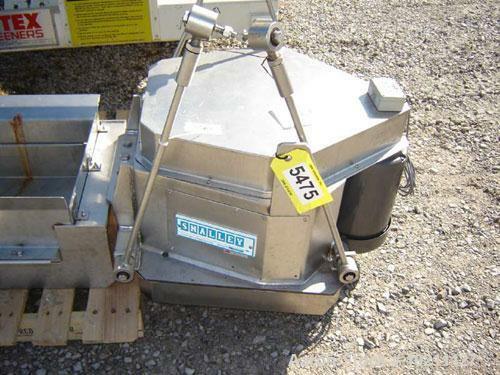 Stainless steel food grade construction. 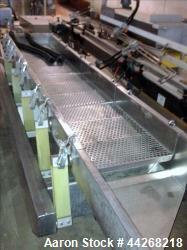 5" deep pan with extended side walls on first 4’ of conveyor increasing the pan to 12" high. Overhead suspension design with six tie rods. 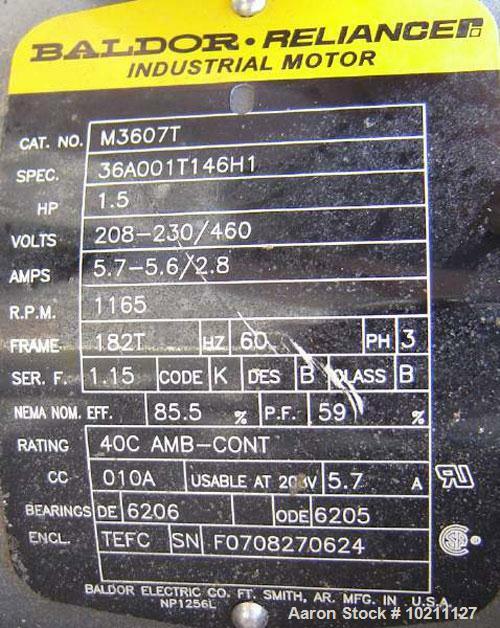 1 1/2 hp Baldor motor, 208-230/460 volt, 1165 rpm. Belt drive to encentric weights.